Treasure Hunt. One Day Only! If you haven’t been to RIPPED recently you may not have noticed they updated their free gifts. RIPPED gives away five outfits, one each for women, men, kajira, and shown below the panther girls and kajirus. Torvalds Forge has opened a new main store at Nordheim. 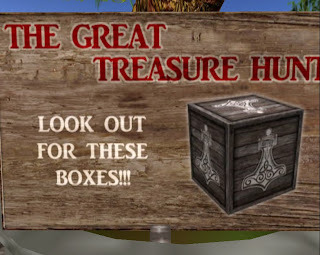 To celebrate they are having a treasure hunt, 10 treasures to find for ONE DAY ONLY (Sunday July 5th). I have not completed the hunt yet and don't have pictures for you. 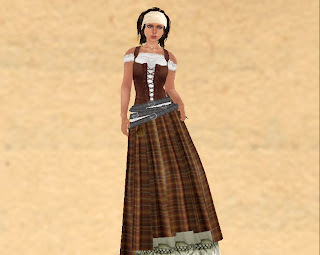 So far I have some great brands, a dice game, a tent, and a VERY special edition of the Ivar's outfit, but because of the limited time I posted anyway. It's Torvalds Forge, you know it's worth going to check out. The “Just for the Guys” hunt is going on through July 31, fedoras hidden in at least 70 stores containing various prizes for men. The most Gorean-like prize is in the hidden fedora at Aria’s Dream (store #7). I also found this outfit for free on the table. 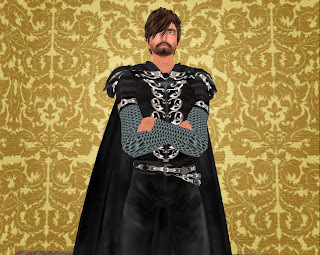 Outfit: "Medieval Roleplay Outfit for Men" available for free at Aria's Dream. Magika is having a "Running with Scissors" hunt. There are five golden scissors spread out through the shop. Find the scissors, buy them for 0L, and these styles are what you will find. As with all hunts, it's very laggy. Remove as many prims as possible, and all huds including radar and AO. Just hover/fly if you are worried about walking like a duck. Skin in all photos: "Kalista tan 01" Free at Tuli Main Store in the Kalista base skin pack. A trip to Reiver today was really productive; here are two of the several items available in the lucky chair. 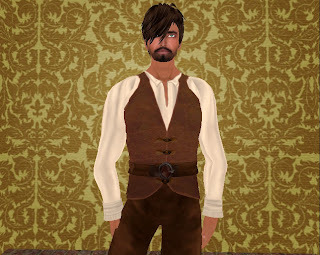 Outfit: “Ranger (Brown)” available for free in Reiver lucky chair. 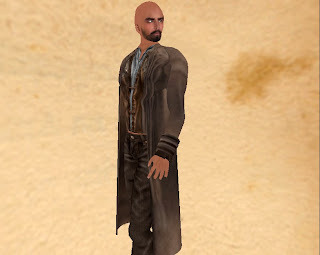 Outfit: “alainn (brown set)” available for free in Reiver Lucky chair. 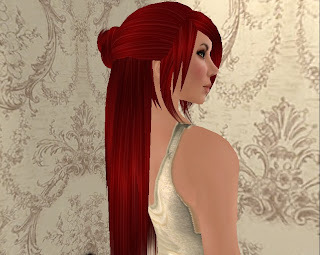 Skin: “blowpop N2 Elizabeth -tone D” free gift in Blowpop update group. Dated June 20th so act fast.